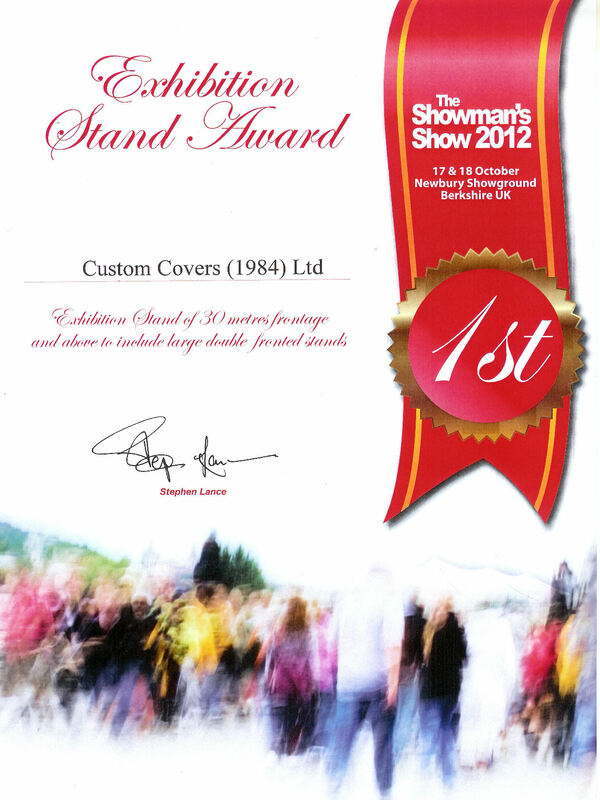 Custom Covers has won first prize for their innovative 2012 Showman's Show stand. This year's award for "Exhibition Stand of 30m frontage and above " was judged by Access All Areas editor Nic Howden who when asked what it was that picked out Custom Covers (1984) Ltd’s stand as first prize winner said that “the stand had ticked all the boxes” . 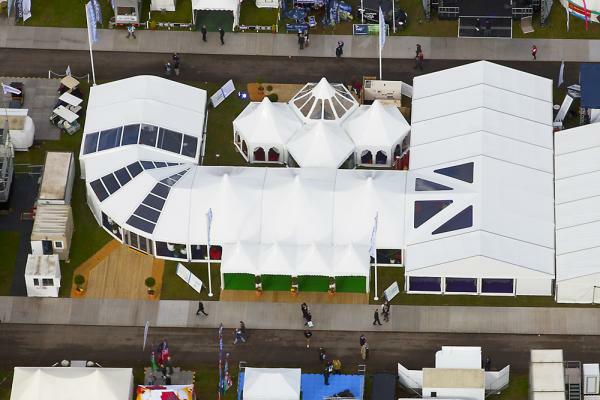 In the stunning arial shot you can see the simplicity but effectiveness of the 90 degree radial end (new at the show), the brand new custom covers Hexagon (four grouped together at the top of the picture) which continues the series of conversion kits: giving stunning new shapes with maximum use of existing kit. 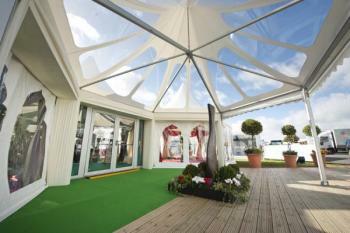 Both the Hexagon and the Romsey Pagoda can be bought as a standalone structure or as a conversion. 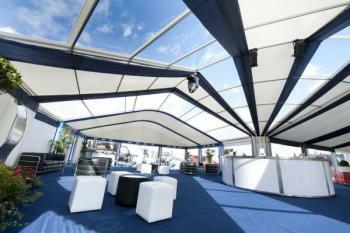 Also of note in this arial shot is the new 10m curve structure and the 12m bar-tension tent with Cruciform to the 9m. Bar tension system features our new bar-tension eave rail and fixed to adjustable push down unit.